Labor Unions, which started forming in the mid-nineteenth century, served workers well by bringing to light the working conditions and overbearing nature of some in the business community. Their value in the struggle to gain workers rights in the marketplace peaked in the 1920’s during the Progressive Era when they turned public opinion in favor of their cause. In the years that followed they worked to consolidate political power within the Democrat Party where their underlying philosophy fit well. Since then, they have made themselves into a well-oiled fundraising machine and an organizing operation for the Democrats. Their overall interests now focus on electing Democrats to assist them in forcing union contracts through the political process rather than better serving the workers they represent. Need an example? America’s fastest growing union, SEIU, spent $28 million in union dues to get Obama elected in 2008 and their voter organizing arm, Association of Community Organizations for Reform Now (ACORN) was revealed to be using massive voter registration fraud as well as intimidation and threats of litigation to force contributions from both private and governmental groups. Regretfully, The Piedmont Environmental Council (PEC) has taken a similar path. “Founded in 1972 with the purpose of preserving important attributes of the Northern Piedmont region of Virginia”, the PEC also began with a worthy goal in mind, to protect the environment for all of us to enjoy. 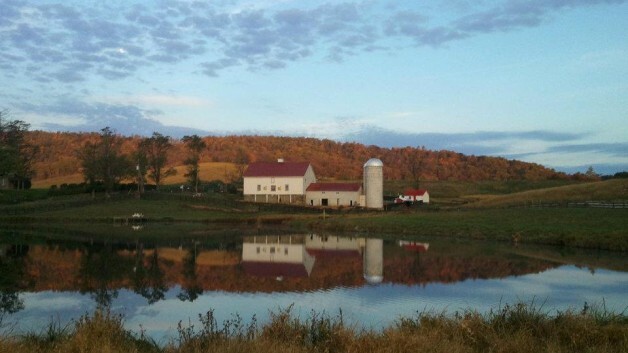 To do this they chose conservation easements as their vehicle, a tool that on the surface would appear to save family farms and preserve the rural nature of much of Virginia. However, since it was difficult to convince large numbers of landowners to voluntarily forfeit their property rights in order to “save” their land, more “tools” were needed. Hence, the use of Politics and Money. This lethal combination is described in more detail here. 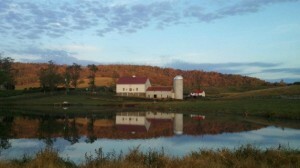 From humble, altruistic beginnings, the PEC and other land trust organizations gained more funding for tax breaks on conservation easements from national, state, and local politicians. Using the money generated by the legislative process, their control of vast quantities of land has grown. Inevitably, that growth became political power. The overbearing actions of the PEC have come to the attention of state government officials. Mr. David Johnson, former Director of the Virginia Department of Conservation and Recreation, when speaking of the these actions told the VOF Board they should “fully expect some activity on the legislative front.”His concern was that it “could be meat-cleaver size surgery” on the conservation program policies now in place. His full testimony is seen here. Also testifying at the VOF hearing was Brenda Pogge, Delegate from the Virginia 96th District who has served 7 years on the Agricultural Committee. Her testimony not only verified the warnings of Director Johnson, she went a step further. Also speaking of the actions of the PEC she warned the Board Members, “Things have gone too far… [this situation] has attracted the attention of the General Assembly.” Her entire testimony can be seen here. In an interview outside of the VOF Hearing, Delegate Pogge who is very familiar with the entire Boneta/PEC case went even further. She stated the actions of the PEC demonstrate a “pattern of abuse” that has created a “toxic environment” and that she felt it may become necessary for the General Assembly “to put restrictions on Land Trusts.” She compared the actions of the PEC to “jack-booted thugs.” The interview in its entirety can be seen here. Just as ACORN used strong-arm tactics to bully politicians and private groups, the PEC and their members use their monetary and political power to bully citizens and local political groups, control land use policies and even set taxation rates. The manifestation of this political clout can be seen in Virginia counties from Charlottesville to Leesburg. Orange County farmer Victor King sees that threat to his county. In his testimony at the VOF Hearing on November 6th, 2014, he stated “The PEC, during two county public hearings and one county election cycle, demonstrated its goal is to control Orange County. … [the] PEC has co-opted easements as a vehicle to achieve its ideology”. You can view Victor King’s entire testimony here. Here in Fauquier County, the PEC’s home turf, they have long controlled the Board of Supervisors, which in turn leads to control of both tax policies and land use programs through the Board appointed Planning Commission. Recently the power base they have established and strengthened for years was challenged when a PEC outsider mounted a substantial campaign for chairman of the Fauquier County Republican Committee. To nip this challenge in the bud, Hope Porter who is the matriarch of the PEC, encouraged PEC members including known Democrats to vote in the local Republican Party leadership election, telling them “The person who controls the Republican Party in this county, to a large degree, controls who will be the Republican candidates for the Board of Supervisors”. To understand the political leanings of Hope Porter and the leadership of PEC one needs only look at their public actions. Mrs. Porter, who claims to be a Republican because it gives her the ability to work within the powerbase of the majority party in Fauquier, has certainly not acted like a Republican. In the 2013 Virginia Delegate race, Mrs. Porter, calling herself a Republican, appeared on an expensive mailing slick endorsing Republican Michael Webert’s Democrat opponent Colin Harris. The irony is Webert is a well-known farmer here in Fauquier. The PEC leadership has also demonstrated their loyalty to the Democrat Party. As they say “Follow the money!” Over 80% of their donations have gone to Democrats and the only Republican to receive any of their contributions is 17 term Congressman Frank Wolf. Just so happens Wolf has been the Congressman representing Northern Fauquier County all but the last two years since these records were kept. See all the facts here. The election for leadership of the Republican Party could well determine the future of Fauquier County and the battle boils down to the utilization of nine service districts. They were set aside years ago to control over-development, save the countryside and feed the coffers of the local government with commercial taxes from businesses in the districts. Yet, for four decades the PEC and their followers have not only fought putting in the necessary services into the “service” districts, they have, through control of the Planning Commission, worked not only to run good businesses to Culpepper and other surrounding counties, they have shrunk the size of the service districts. Fauquier County has recently been named the 8th richest county in the nation! With that much money in such a sparsely populated county, one would think the county coffers would be overflowing and our services second to none. Well, not so much. If you have been paying attention your property taxes have gone up twice in the last two years. Even with increased taxes, the county never has enough funds to properly fund life services or give teachers the raise they certainly deserve and now you even have to pay an additional fee to dispose of your mattress! These are not the only concerns of county homeowners brought on by the over-reach of PEC tentacles. If you lose your cell signal, or don’t have one where you live, you can thank the Piedmont Environmental Council. They stand at every Board of Supervisor’s meeting when a property owner brings forward an application to install a cell tower on their property and fight it tooth and nail. No matter where it is or how visible it is. It’s a “viewscape” issue, don’t you know. That is, unless one of their members is the applicant, like Phil Thomas, PEC member and PEC award recipient. Then they are strangely absent. Maybe it is finally time to break the stranglehold the PEC has on Fauquier County and let the ordinary folks decide their own fate. Rick Buchanan is a small businessman and activist in Fauquier County. He currently serves as President of the Virginia Tea Party Patriots Federation, and as Vice Chairman of the 5th Congressional District Republican Committee.